Jang Geun Suk escaped the disaster. 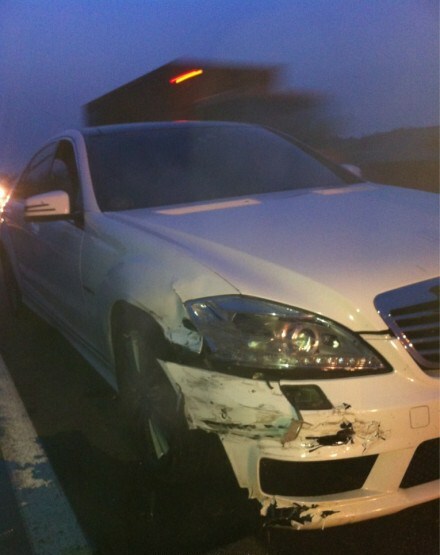 At 5am on April 29th, 2012, on the way back to Seoul after completing the filming for “Love Rain”, the car Jang Geun Suk rode in hit the guardrail in the vicinity of Yeoju, causing a traffic accident. The vehicle broke through the guardrail, coming to the verge of the cliff, almost led to a major accident. 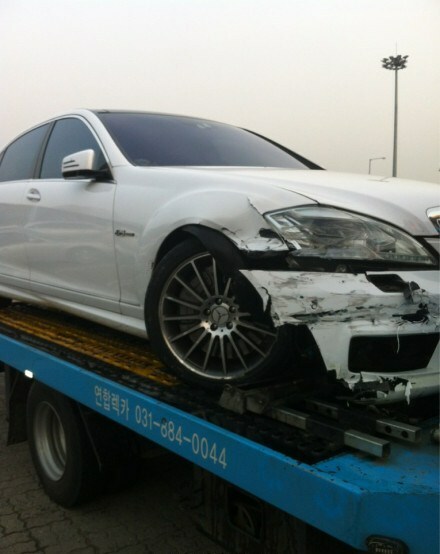 The cause of the accident was the fatigue of the driver, who was the management agent of Jang Geun Suk. The official said, “They stayed up all night to shoot drama, the management agent was also very tired, may be it’s because of driver fatigue that caused the accident. But fortunately escaped a more serious accident”. On April 26th, 2012, Jang Geun Suk received the Most Popular Movie Actor Award from Baeksang Arts Awards, at that time, he said, “Today I came after finished shooting KBS2 TV drama ‘Love Rain’. I am late, very sorry. I desperately rushed over, and very fortunate to have arrived safely,” showing his tight shooting schedule.